Avid runner? Then you understand well the pain of listening to music while on the rails: the cords from your headphones get tangled all up in your business, or keep slipping out of your ears due to sweat. We've got the ideal solution: the Something Strong Sweatproof Bluetooth Headphones, now just $19.99 in the TechnoBuffalo Deals Store. While in-ear headphones are nothing new (they've been around for a few years), the first models were hardly up to snuff due to inferior sound quality and cheap construction. 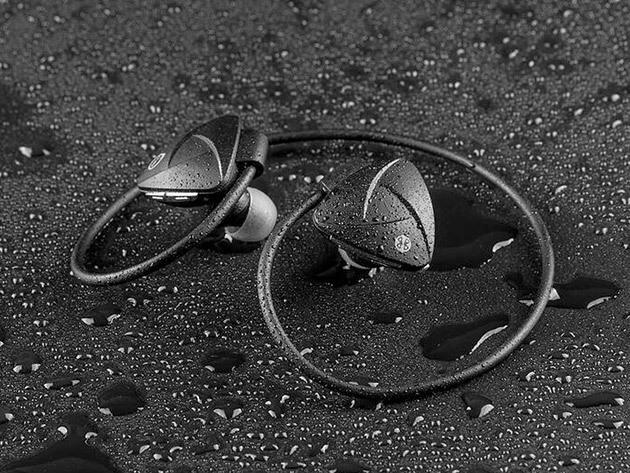 Not so with the Something Strong headphones, which eliminate cords without sacrificing performance — plus, they're sweatproof to boot, meaning they won't short-circuit over a little moisture. Just sync your pair to your phone with Bluetooth, and go to town streaming your favorite playlist from your device. You'll also take advantage of hours of uninterrupted, resonant sound for the most seamless listening experience you've likely ever had. For the active people in your life, the Something Strong Sweatproof Bluetooth Headphones — now 31% off — would be a perfect gift for the upcoming holiday season.